Need the Most Reliable Car Shipping Services in Boston? Whether you’re into music, sports, history or the outdoors, Boston truly offers something for everyone. Given the number of prestigious colleges and universities, hospitals and innovative companies in the area, there are many reasons to ship a car to Boston, Massachusetts. Whether you are moving to the city or a dealership doing business in the Boston area, work with Fisher Shipping, the most trusted auto transport company for all your Boston car shipping needs. Fill out the brief form or give us a call at (508) 792 2427 for a free car shipping quote from our helpful and experienced team. When shipping a car to Boston, there are a few basic tips we’d recommend. 1. Research the transporter. 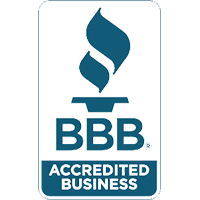 Read customer reviews about the Boston car shipping company on trusted sites like Yelp, Google and the Better Business Bureau. Make sure there are no recent bad reviews or customer complaints. 2. Don’t shop on price. It’s a good idea to focus on reliability and timely delivery instead of going for the cheapest car shipping quote. Often, low cost is a dead giveaway the auto transporter is cutting corners somewhere, likely in carrier quality or equipment. Make sure any Boston car shipping quote you get is all-inclusive. 3. Experience matters. It’s better to work with someone who’s been in business awhile, understands the industry and can customize an accurate all-inclusive quote. We look forward to serving you with all your Boston car shipping needs. Why Work with Fisher Shipping? Fisher Shipping, based an hour west of Boston, has been transporting cars all over the country faster and more reliably than anyone else since 2006. We aren’t the cheapest option (nor do we try to be) but we treat every vehicle like it’s our own. We think paying a little more for industry-leading reliability and customer service is worth the added peace of mind. In fact, our customers agree – hear from them below. Since 2011, Fisher Shipping has been my exclusive partner in transporting Land Rovers across this great country of ours. Also, I have gladly referred them to my snowbird clientele to do their Massachusetts to Florida seasonal transport. In return, I have never heard a disappointing word. Dave and Nicole always get it right, which means a lot. Less grief means that I have more time to do what I need to do, which is to sell Land Rovers. I moved from Miami to Boston recently. I choose Fisher Shipping for my move. Jessica from Fisher Shipping Co helped me with move. Upfront pricing, good communication and very fast. I got my car in 3 days. Thanks guys! Recently had the opportunity to use Fisher Shipping for a customer who had purchased a vehicle and needed it shipped from Pinellas Park, FL to Boston, MA area. Whether you’re an auto dealer doing business in the Greater Boston area or need car transport services to or from Boston, check out these useful links below. City of Boston – Great city government resources for those moving to Boston. 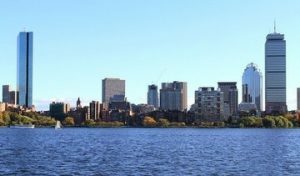 Boston, MA on TripAdvisor – From Fenway Park to the Freedom Trail, learn all about things to do and see in Boston. Boston Globe – One of Boston’s two major newspapers. 3 Keys to Championship Level Auto Transport – Blog highlighting the New England Patriots, one of Boston’s championship caliber pro sports teams.